Banana Bundt Cake With A Mix. This recipe for banana bundt cake is so easy, and it never fails always comes out well. I love my glass bundt pan, but this recipe can be used in any type of bundt pan you have. It can even be used in loaf pans. This is the best bundt pan. It's glass, and it works great. It makes the best bundt cakes. It can be used in a microwave or oven. The temperature has to be cut down from 350° to 325° if you're making a cake with this pan. For this recipe use up your old bananas in the cake; in fact, your bananas need to be ripe and not green for this recipe. It is so easy to make and taste so good. The cake is pretty when it's done. It's an easy cake to take to parties or for whatever event you're going to. 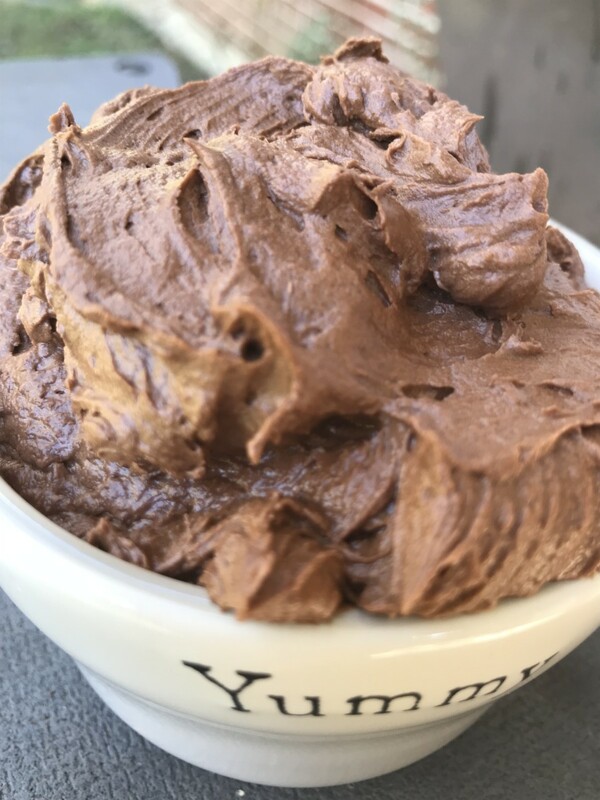 You can use any frosting you want on this cake, here are couple frosting recipes I have Wedding Cake Frosting and Snow White Frosting. Combine ingredients, mixing well. Pour into lightly greased and floured bundt pan. Bake 325°F degrees for 60-70 minutes. 350°F if not a glass pan. This cake also freezes well. I make them ahead all the time. Variations on cake recipe use what you have. 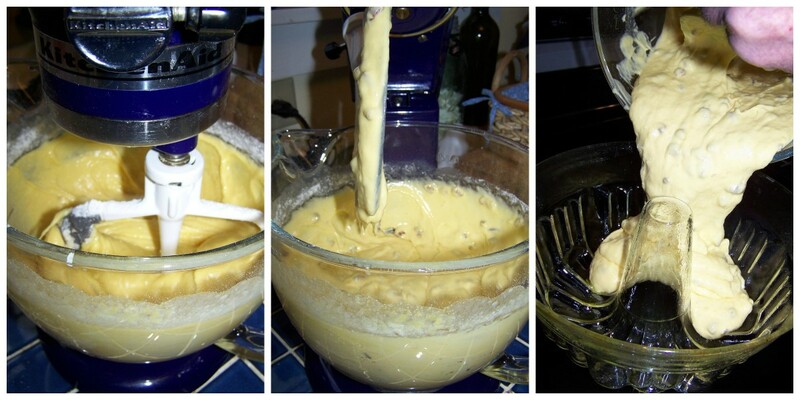 Lemon cake mix with Lemon pudding and poppy seeds instead of nuts. I also don't always use water. I use buttermilk, whipping cream, milk or fruit juice. I like the whipping cream the most. Like I said you can also use two loaf pans. Use any kind of nuts you want. I have also used raisins. Bundt Cake: Preheat oven to 350°F (180°C) 325 if glass. In a small bowl, combine diced apples, 1/4 cup (50 mL) sugar and cinnamon, set aside. In a large bowl, beat canola oil, sugar, eggs and orange juice. Combine flour, salt and baking powder. Add to cream mixture. Beat until combined. Grease bundt pan with canola oil. 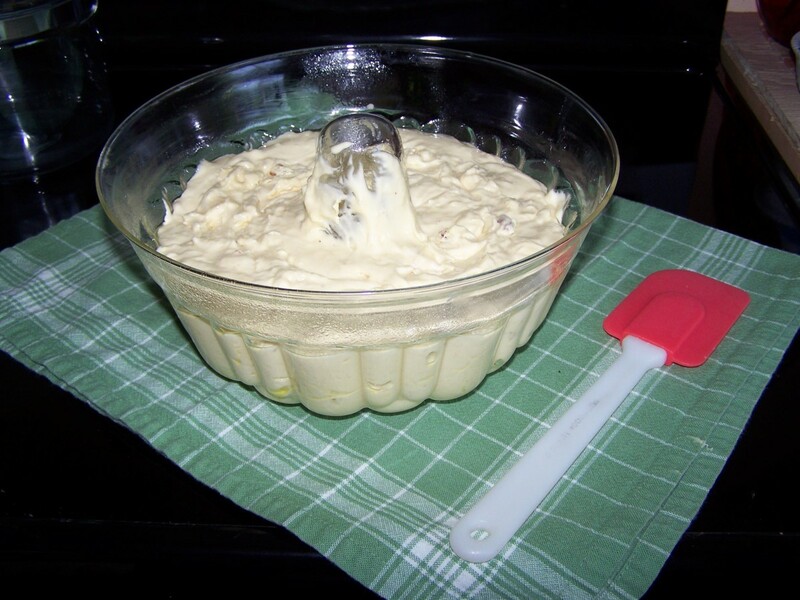 Pour 1/3 cake batter, 1/2 apple mixture, 1/3 cake mixture, 1/2 apple mixture and remaining 1/3 cake batter. Brandy Sauce: In a small saucepan, mix sugar and water. Bring to a boil, reduce heat and simmer for 5 minutes. Stir in brandy. Pour over sliced cake and serve. I have a Cobalt Blue Kitchen Aid mixer. How I love that thing. When our granddaughter got married, we just knew she had to have one so we bought her the red one with the glass bowl. I always wanted the red mixer, but when I bought my mixer, red was $100.00 more. I can't let blue know I'm in love with red. I really don't work for Kitchen Aid. 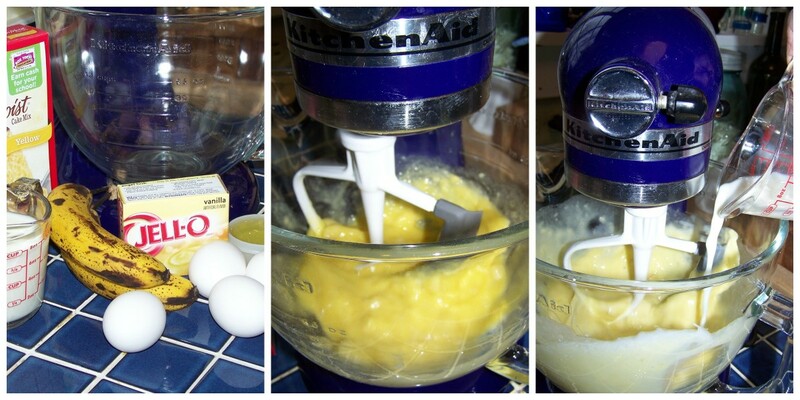 I just love this mixer. I also have asked my kids to get me the glass bowl that fits on the Kitchenaid for a Christmas gift. My nieces and nephews fight over their mother's mixer, each one saying she has to leave it to them in her will. peachpurple, thanks for stopping by. I don't know why there would be a strong odor. I don't use it often, I use corn oil or canola oil. when i use sunflower oil, it has a strong oil odor in my cake, not buttery taste. Why? Peggy use instant pudding mix. I will have to put it on the recipe. 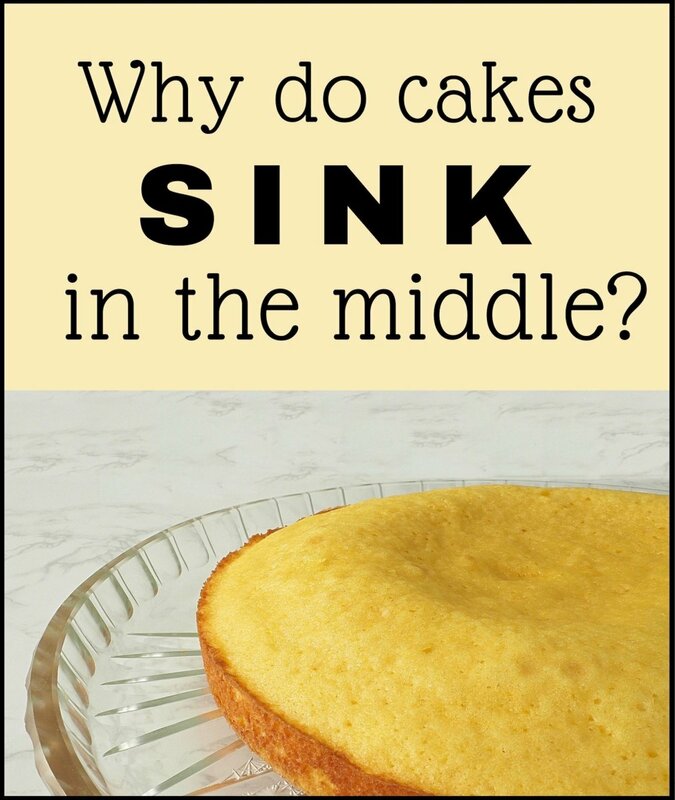 It's really a good cake and easy to make. Thanks so much for stopping by. I just checked my kitchen cabinets and I have all the ingredients needed to make this delicious looking banana Bundt cake. One question about the pudding mix. Do you use the instant type? I can't wait to try it out. I'm going to use banana pudding mix since that's what I have at the moment. Thank you for the great recipe. Pinned! 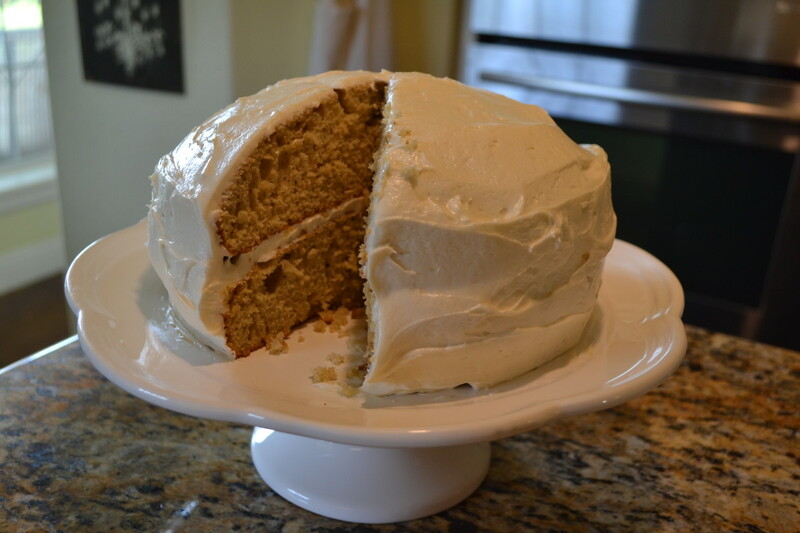 CraftytotheCore, It is an easy cake and love it because it uses up my ripe bananas. Thanks so much for stopping by. This looks so delicious Moonlake! I love baking with a bundt cake pan. I have a chocolate almost bundt I make a lot. 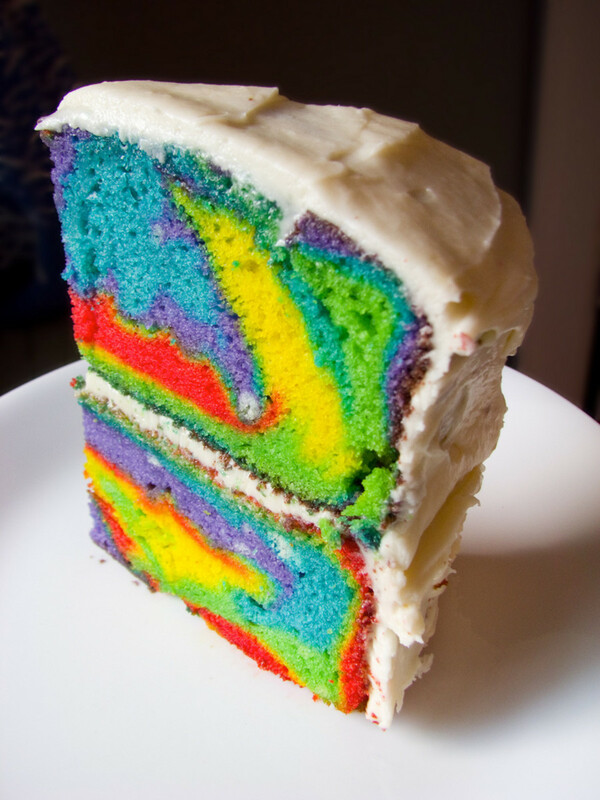 Au fait, We love this cake, in fact I will make it tomorrow. I notice I have lots of bananas I need to use up. Thanks so much for the stars, vote, pin and share I appreciate you doing that. Love these recipes! I used to make bundt cakes like these when they first became popular and didn't write the recipes down. So nice to find them here! And more besides. 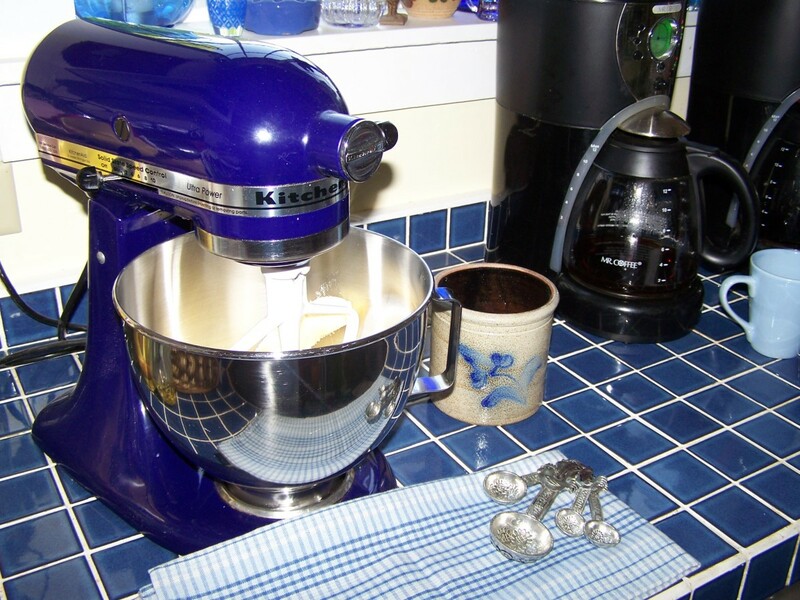 I have one of those heavy duty Kitchenaid mixers and they're perfect for making cookies and stiffer batters. Gave you 5 more stars, voted up, and useful, pinning this to my Fabulous Deserts board, and will share! rajan jolly, Your welcome and thanks for stopping by. I appreciate the vote share and 5 stars. 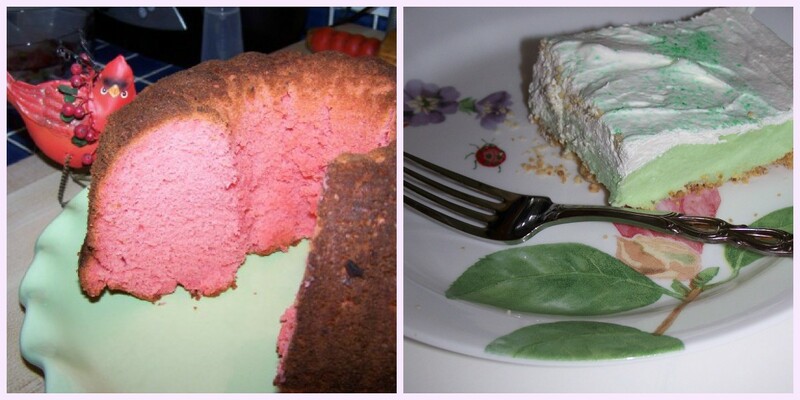 Thanks for sharing this beautiful cake recipe. Voted up and shared. Rated 5 stars. Vacation Trip, Your welcome, and thinks for stopping by. Indian Chef, It's a very easy recipe and it is good. Thanks for the vote and sharing. I appreciate you stopping by. This recipe sounds yummy. Thank you for sharing this unique recipe. Peggy W, Thanks for the pin. I appreciate it. This will be perfect to pin to my cake and sweet breads board on Pinterest. Consider it done! Your welcome thanks for stopping by and leaving a comment. Peggy W, I do love my glass bundt pan. Thank you for stopping by and for the votes, stars and share. The cake looks and sounds delicious. I've always had a metal bundt pan and did not know there were glass ones. What a great idea ... one can see how the cake is baking. Thanks for sharing this recipe. Like others, I have never seen a glass bundt pan but we have others. I like the alternative recipes as well as your banana recipe. Bundt pans always make cakes look so pretty. Gave this 5 stars, up and useful votes and will also share. vespawoolf, Thanks so much for stopping by and reading my recipe. I love my mixer and a friend of mine got one for Christmas and she loves hers. They work great. I've always wanted a KA standmixer. Now I want one even more! I want to try the brandy sauce with the banana bundt cake. Thanks so much for sharing these recipes with us! 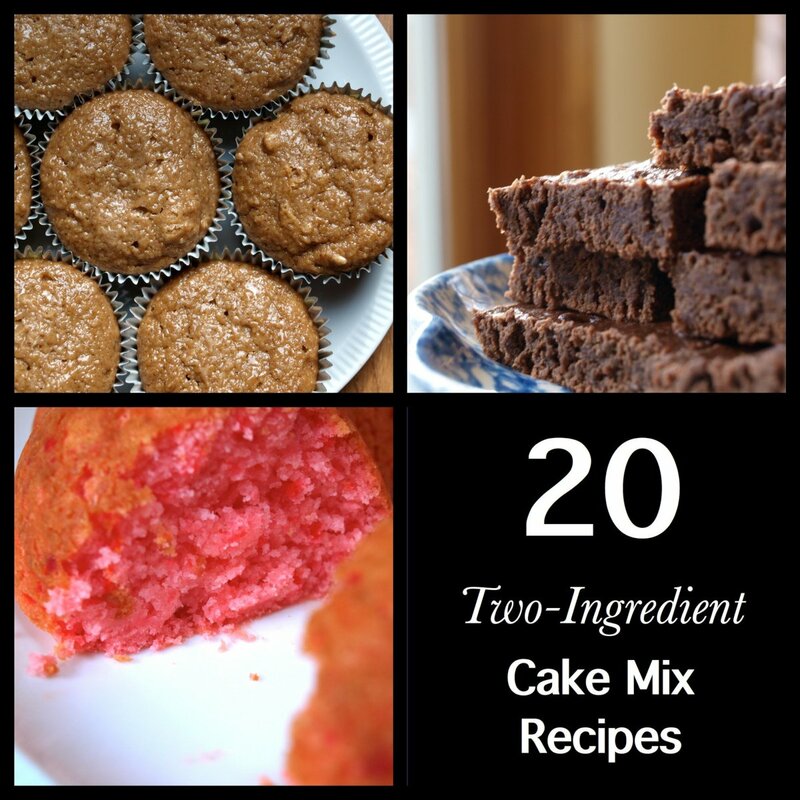 RealHousewife, It really is a very easy cake to make. It has never failed when I have made it. Hope you will enjoy it. Thanks so much for stopping by and for the vote. This sounds awesome! I love bananas, banana cake, pudding, pie, taffy...doesn't matter. This looks great and I love the texture of cake when cooked in a bundt pan. It looks beautiful and you can just drizzle a little icing or load it up! 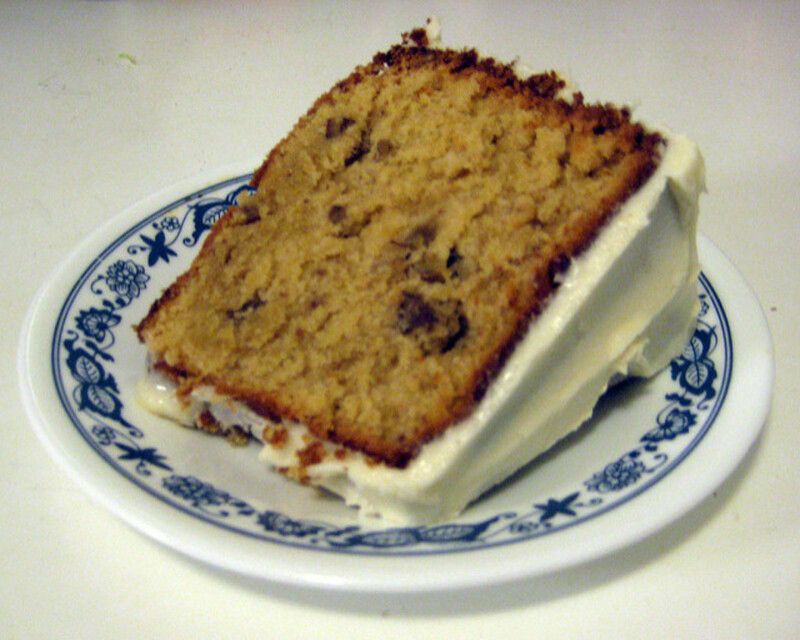 Tony, This is a great cake and good for using up all those over ripe bananas. Canola oil is from pressed canola seed. I saw a chef on tv the other day and he said canola oil was all he used. It's suppose to be good for health. You can always exchange canola for vegetable oil. moonlake, your recipe sounds very tasty from your list of ingredients. I use bananas up in my bread, as we always seem to have a couple that are just passed their best for eating raw. I like the brandy idea, tha will give it body and extra taste. I use my Bundt tin to make Brioche in, I sometimes make a cake but only when my wife insists, I more a savouries man. Question for you, I watch a number of USA food programmes and they all use canola oil, what is it made from, we don't have it here? nice hub, enjoyed the read. Thanks so much for stopping by. We love this cake and I eat lots of bananas but I can't always eat them all. Once they get a little ripe I don't want them so I make this cake. Moonlake, What a delicious, scrumptious, tasty recipe! In particular, I like the way that you discuss enticing variations and favorite equipment. The brandy sauce on the apple bundt cake sounds like a win-win situation. P.S. I love the use of glass in baking! That's actually what I was raised on. Thank you and thanks for stopping by. 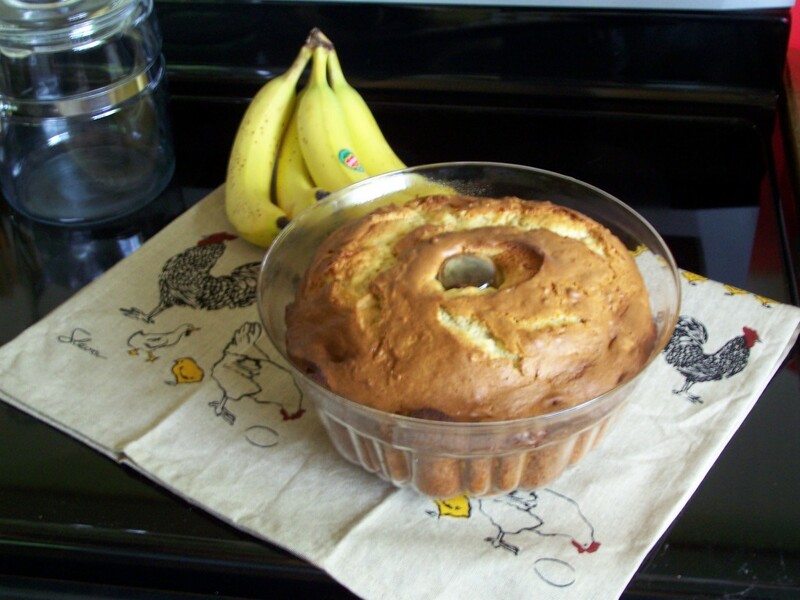 The Banana Bundt cake I make all the time seems I always have ripe bananas to use up. I made one yesterday. I must try the banana and apple bunt cakes. Potatoes and orange juice? Different! I taste them already. It sure would be. This is a really good bundt cake and easy to make. Thanks for stopping by and leaving comment. Hmm I love bundt cake! I have never seen a glass bundt pan before! 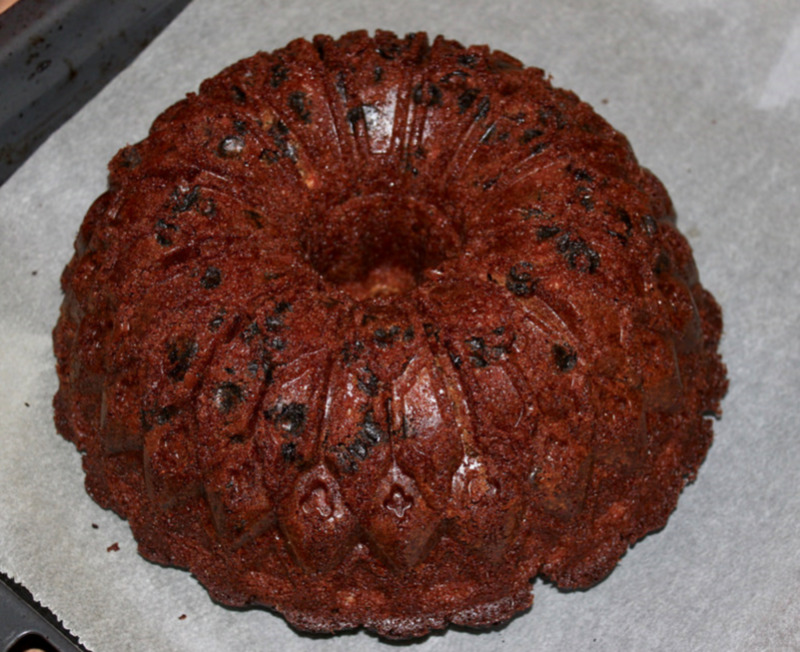 Just thought of a funny scene fom the movie My Big Fat Greek Wedding...the mom didn't realise the bundt cake has a hole in the centre she stuck a plant in it...have to admit it is a cute idea to 'dress up' a bundt cake. Sun-Girl Thanks, so much for stopping by and leaving comment. A salivating and mouth watery article which i so much enjoyed. I love the glass bundt pan use it all the time. Thanks fo stopping by my hub. I had never heard of a glass bundt pan, I think I might have to go looking for one :) Your recipes sound delicious, I can't wait to try them!
" What did you make sweet to eat today?" Thank you Vondre. I will check you cake book. I'm so glad you tried the recipe I made the cake again today. I sure uses up very ripe bananas. Thanks Blackbery for post. You'll like it when you try it. This sounds like a good cake. Will have to try it. I wanted to express my thanks for the great cake recipe. It turned out so beautifully; color, style, and design, thank you so much for sharing it.